The Future is back! 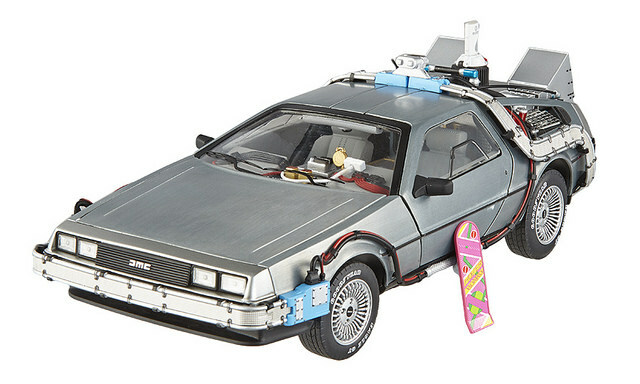 What I mean is there are more and more Back to the Future collectible toys coming and to add that in the list would be from Hotwheels! 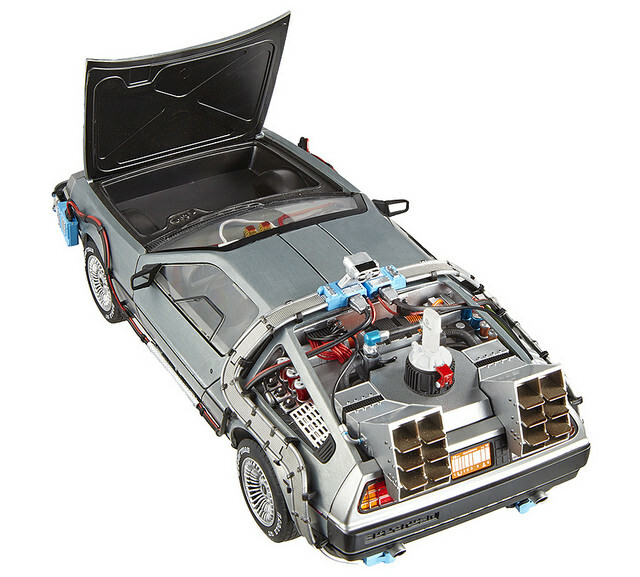 yes a 1:18 Back to the Future Time Machine! 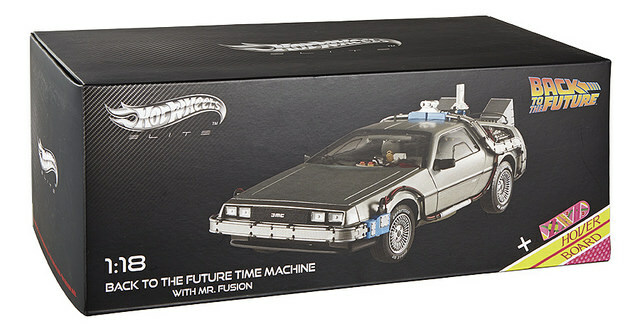 This would be the one that appear at the end of Back to the Future 1 movie as it has Mr Fusion for the power of the time machine! The door can be open and reveal the details of it. 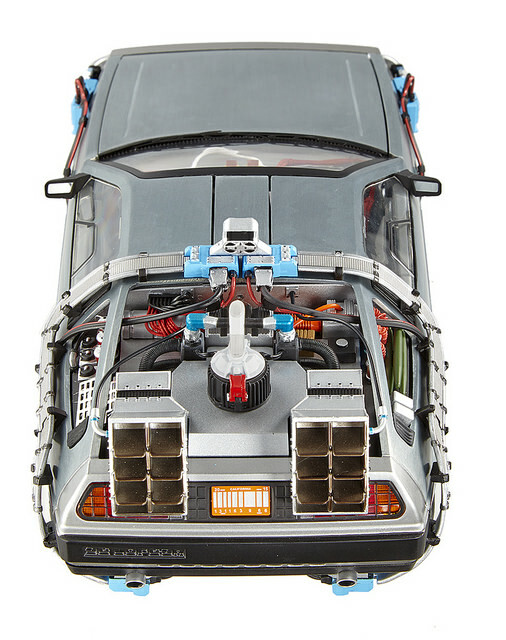 Here's the top view of the time machine. you can see there are great detail that appear in the movie in this vehicle. First you notice there was an alarm clock....Not only that, they throw in the pink hover board. It is up to collection to deem in their entertainment value. 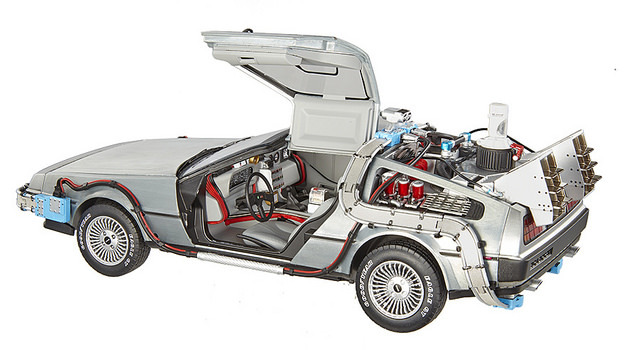 I've no idea on the size of this, but I wonder if the Funko ReAction BTTF figures will fit inside. Not too sure of that too HeroUk.